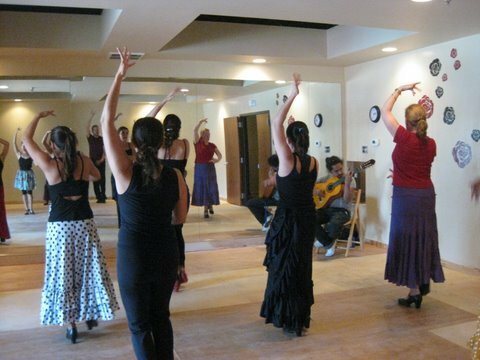 Flamencura was opened on May 1, 2010 in Austin, Texas in order to share flamenco dance and music with the Austin community through classes and events. Dance teachers include founder Olivia Chacon, as well as Claire Spera and Guillermo Tabares, while flamenco music instruction is given by Isai Chacon. Located in North Central Austin, at 7113 Burnet Rd. # 111 (behind the Local Post Pub, next to the Kolache Shop), Flamencura has a lovely 750 square foot studio equipped with mirrors and sprung plywood floors. The facility is available for hourly rental for dance classes, rehearsals, or workshops.